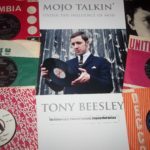 Short Description: A Nickel And A Nail is a UK based specialist independent bookstore for readers interested in exploring the history of 1960s soul, rhythm and blues, and related musical fields. 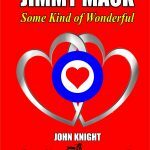 A Nickel And A Nail is a UK based specialist independent bookstore for readers interested in exploring the history of soul, rhythm and blues, and related musical fields. Our mission is not only to sell literary works but to contribute to the preservation of soul and related music history, and to update customers on literature reviews through our regular blog and review features. We are also provide a unique independent platform to support and promote the sale of quality self-publications in these genres. We sell new and quality used books, collectable magazines, fanzines, vintage sheet music and picture cover 45s.